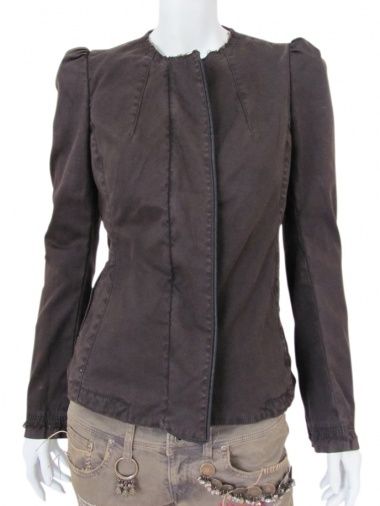 Cotton and lycra jacket decorated with raw-edged crew neck in a beautiful fitting. Puffed shoulder remeber the korean style. The back is decorated by pearls, embroidering and frills.